Tallgrass Studios is pleased to announce the promotion of two current employees. Megan Miller is our new Director of Financial Operations and Fulfillment after 3 1/2 years with the company. Megan will be focusing on implementing fulfillment strategies to increase efficiency. 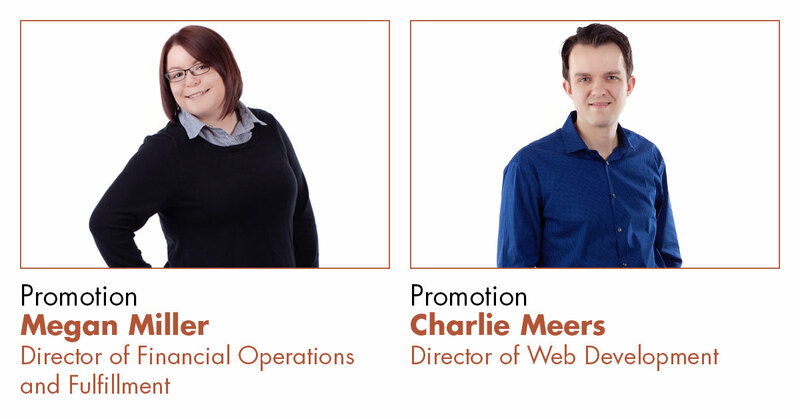 Charlie Meers was promoted to Director of Web Development after 1 year on the job and will be leading our team in programming new web applications and expanding SEO services for our clients. Please join us in congratulating these two!